The Alister MacKenzie-designed nine-holer in Monte Rio, California is only a shell of its original self. Still, the bones beneath the years of mistreatment show through and for $23, it is one of golf's greatest values. 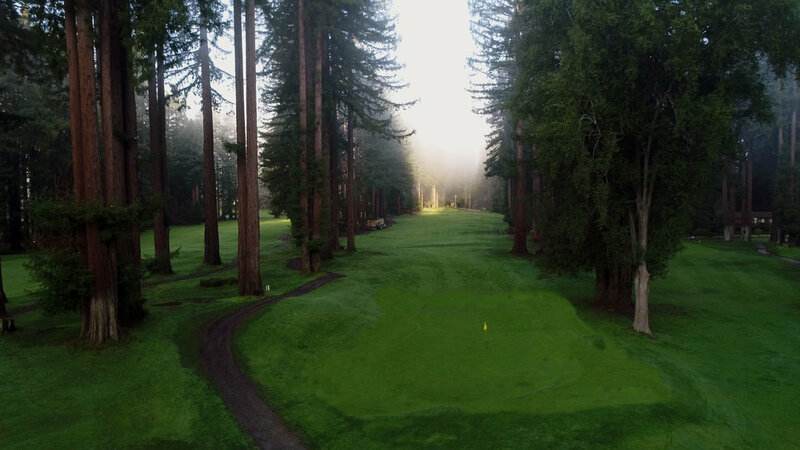 The course's identity comes from its MacKenzie greens and the behemoth redwoods that the golf course is cut out of. The par-4 2nd is an unforgettable hole at Northwood that shows a glimpse of what once was and could be with a little work. I played this round with a hickory-shafted driver, which brought back the integrity of the course's design and features. Playing the par-4 2nd with a hickory and a cool damp winter morning had it playing a little longer than the 382-yard listing. I imagine it played as it did when Northwood opened in 1929. The tee shot runs down the northern border of the property, which makes the left side out of bounds. Wisely, MacKenzie built the strategy of the hole around the out of bounds hazard. The trees play a visual trick on golfers, causing a claustrophobic feeling and making the fairway appear narrower than it actually is. The 2nd fairway is between 35-45 yards wide in the landing area. The ideal tee shot is up the left side, which provides a good angle into every pin location. The fairway has subtle rolls and cants slightly towards the out of bounds. The slopes and bumps add to the challenge of the approach shot into the incredible boomerang green complex. With the hickory and cool temperatures, I was left with a 6-iron into the green! 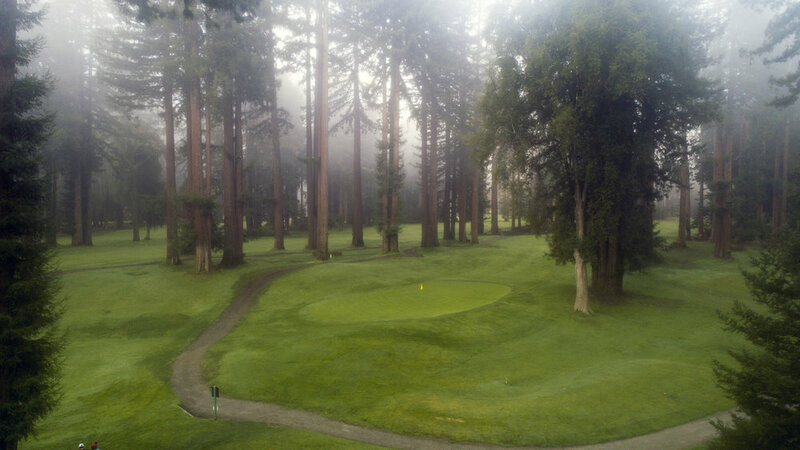 The growth of the redwoods has bottlenecked the approach to this great green complex. Finding the fairway is a must, and a shot on the right side will have to play a cut shot in. The green is magnificent, set in a valley that partially obstructs the view from the fairway. The semi-blind shot allows for both aerial and running shot options because of the slopes and undulations of the green. Cresting the hill gives a reveal of one of the best greens in California. The green rests in a hollow and is set up against a large ridge on the right side that influences the action to every pin placement. The ridge on the right is why the left side of the fairway is preferred; it allows approach shots to bank off the slope. The back left wing of the green will feed it into the back portion of the green, which is mostly grassed over. This is where you see the most potential for improvement at Northwood. Merely expanding this green would open up endless pin placements and recovery options. Add in a little tree removal, and the 2nd would regain its lost luster.